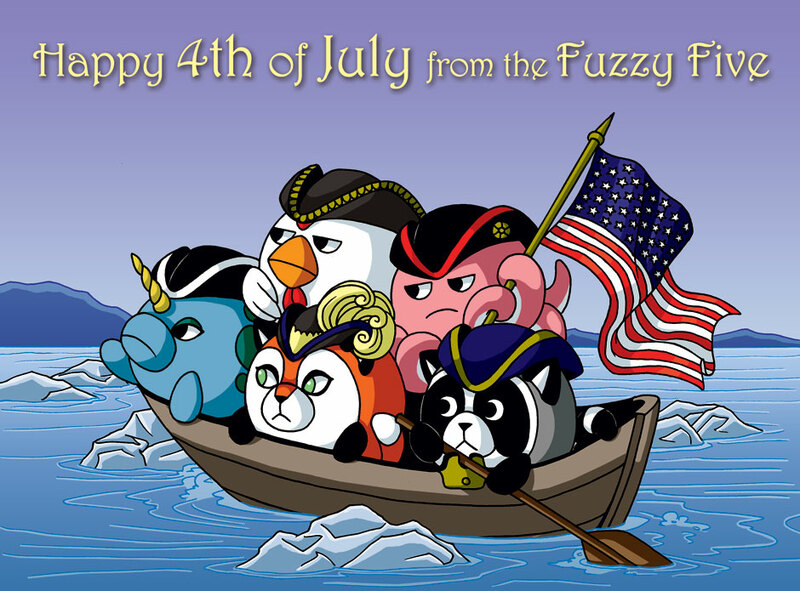 Happy 4th of July from the Fuzzy Five! Regular comics will resume July 11th! here’s looking forward to them finding their OWN freedom. Heh, Washington Crossing the Delaware. that is one hell of a mean flipper nina jr. is shaking at the regulars.